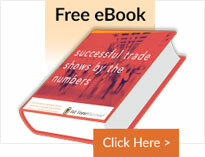 Revolutionary Advances in Trade Show Booth Design with EuroFrame. Exhibitsusa. (Tempe, AZ) February 16, 2016 – E&E Exhibit Solutions just announced the re-engineered EuroFrame trade show exhibit designs. The NEW Silicon Edge groves integrated in the frames offer the ability to cover large surface areas with oversize seamless fabrics. Now, seams in booth designs simply disappear when covering towers, walls, frames. No longer are trade show fabric displays graphics interrupted by seams every four feet, but can cover larger surface areas with this capability. Technology advances continue to reimagine the way companies are able to showcase their products and services and the EuroFrame oversize seamless fabrics are an exciting addition to trade show design. E&E Exhibit Solutions now offers the new EuroFrame Silicon Edge design for new purchases as well as through our Exhibit Rentals. To learn more E&E Exhibit Solutions and their trade show graphics capabilities, visit www.ExhibitsUSA.com. Or contact E&E Exhibit Solutions by calling 800-709-6935. Since 1995, the custom graphic design professionals and award winning leaders in trade show exhibits at www.ExhibitsUSA.com and www.RentExhibitsUSA.com have been working with businesses to create memorable and functional design elements and trade show displays for their businesses.